The basic materials are satin taffeta, English tulle, euro-tulle, flowered chiffon and velvet lace. 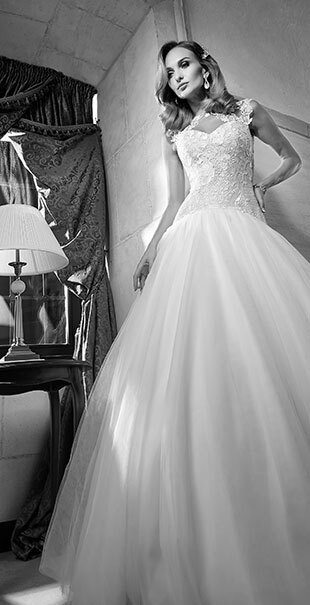 The dress is fully made of tulle, what gives its gorgeousness and lightness. 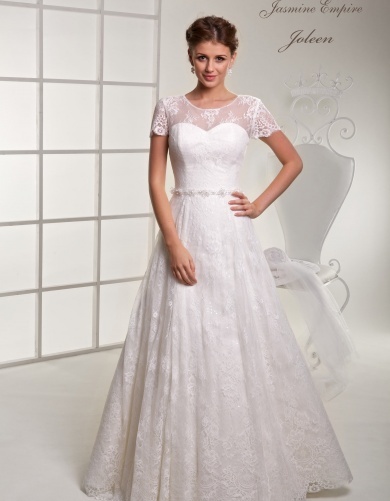 The neckline and back of the dress is decorated with lace, beads, pearls and sequins. A hemline of the dress is trimmed with soft French lace.